The University of California recently shared several videos intended to help students understand what is expected from these new Personal Insight Questions prompts. If I were applying, I would definitely watch these short videos. They certainly cover the basics. Why wouldn’t you want to know exactly what the UCs say they are looking for? That said, I found the actual advice pretty generic. I believe the main goal of these videos is to try to boost the confidence of applicants, especially those who for whatever reason are not confident in their writing ability. These videos seemed all about helping students not stress too much over these essays. 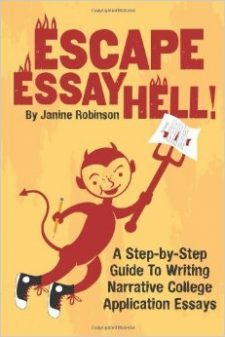 While these are all helpful tips on the Personal Insight Questions—and it’s nice that they are so encouraging (“You got this.”)—I believe the best way to help students not stress over writing assignments is to give them specific writing instruction and ideas on how to approach these short essays. Check out the videos and maybe you will be ready to dive in. The videos ask you to tell your stories. My posts teach you how to do that. Thank you for such useful info! The video is pretty informal and understandable. All that I need now is the time to think about my writings. Maybe the new rules will be more suitable for me, I hope:) Your tips seem really good, thanks for sharing.